Testimonials | Superior Mortgage Lending, LLC. Ronald Blackwell Superior Mortgage Lending just help us get approved and close our VA mortgage in under 30 days. Cameron Thomas was our loan officer. He kept us informed during the whole process. They took very good care of us throughout the whole process. Mia D’A I am a Real Estate Agent and I have been using Superior Mortgage Lending since 2010. All the Loan Officers there are very professional and always available to meet my clients and attend to my open houses. They have attended to several of my open houses and they can pre-qualify my clients on the spot. I highly recommend Superior Mortgage Lending LLC. 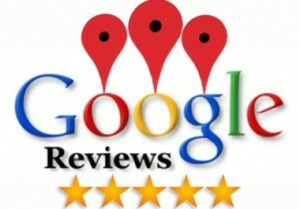 Teryal E. The service I got was excellent. The communication was so much better then previous home loans. No complaints. Cameron C. Best Mortgage Company in Las Vegas! Carol Andrews I have been a Real Estate Agent for many years and I highly recommend Superior Mortgage Lending. The Loan Officers at Superior are very knowledgeable and professional. Elvia B. My husband and I have been in Real Estate in Las Vegas for 15 years. Superior Mortgage Lending has definitely exceeded all our expectations on helping our clients getting a Home Loan. 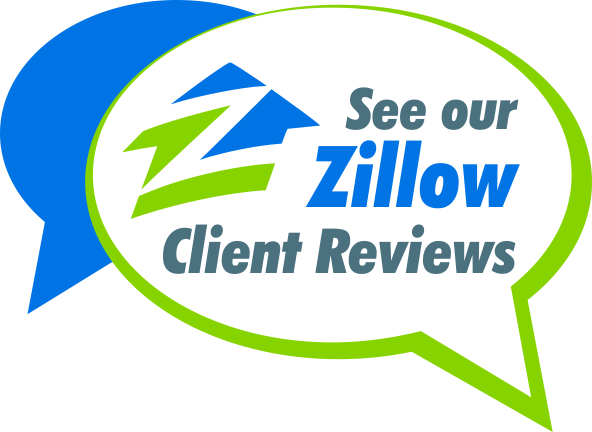 They close loans fast and have great programs making it easy for our Real Estate Clients. I recommend Superior Mortgage Lending for all people looking to buy or refinance a home. Jon R. I have served Nevada and other cities within the United States for 24 years as a Mortgage Loan Officer. Superior Mortgage Lending LLC is a secure mortgage company that is dedicated to closing loans through responsible lending practices. Superior Mortgage Lending is a leader in the Las Vegas community, because of its technology and innovative products to meet consumer’s needs in today’s mortgage industry. As the mortgage industry perpetually changes, Superior Mortgage Lending adapts, excels, and succeeds as being the leader in Las Vegas as well as in California. Feliciano D. Las Vegas, NV 9/10/2016 Superior Mortgage Lending help me get a great loan with awesome rate. My Broker was Alexandra Lee and she help me with my loan, even though I had to change change my loan from Conventional Home Loan to FHA Loan because of the type of home I was purchasing, and still got me a great loan rate. 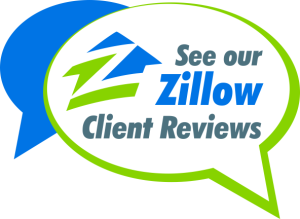 Also thanks to Alexandra recommendation for a Realtor I had a pleasure of working with Karen Feldman a hard working Realtor who will fight for her clients best interest. So thanks Alexandra and the Superior Mortgage team for being professional and helping me acquire a great and very affordable loan rate. Robert S. Las Vegas, NV 3/12/2016 Great company Got the loan completed even working on Saturday to fit my schedule and nice employees. Ronald B. Las Vegas, NV 3/3/2016 These guys are awesome. Cameron Thomas did an awesome job with our VA loan.If you need a mortgage then Cameron can help you. Katie B. Las Vegas, NV 2/22/2016 We just closed a loan with Superior Mortgage Lending, Cameron Thomas was our Loan Officer and he was on top of everything and kept us informed every step of the way and closed our VA Loan in less then 30 days. If you are looking for a home loan come talk to Superior Mortgage Lending. They did an amazing job. Enoch F. Centennial, Las Vegas, NV 10/4/2015 . The very best in customer service, everything from start to finish. When it comes to refinancing, Superior Mortgage Lending LLC is top notch. My wife and I had the pleasure of doing business with this company and we are so glad we did. Tallie K. Las Vegas, NV 08/14/2013 had an amazing experience with Matt Thornton. This was my third purchase and by far the best. Matt does whatever it takes to ensure the client is happy and they get the house they want. I am an executive at a company that deals in the service industry and I know what to expect and Matt far exceeded that. Even when unconventional circumstances popped up, he had a solution. No excuses. Amazing follow up and communication every step of the way. He gave me so much knowledge that I felt extremely confident throughout the whole process. I felt it wasn’t about how much money I had or didn’t have, he wanted to make sure I was happy. I am not kidding when I say he will be my mortgage go to guy for all my deals go forward. You will NEVER find anyone like him. 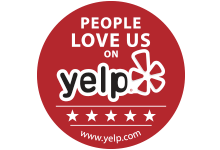 Trust me- (and this is only the second review I have ever written on yelp.) Thank you Matt! Nathan was always on top of things and let me know what was going on, Appraisal could have been done quicker. I have used Nathans expertise in the past and will continue to utilize Nathan as a lender in the future as he is diligent and makes sure you get the best mortgage rates and service available. Richard is the best!!! Great to work with honest and very trustworthy when you are purchasing a house that is what is needed. Richard is by the book he will not lie to you or guide you in the wrong direction. I fully recommend Richard Choate. Nathan was absolutely amazing at helping me buy my home. We went through multiple people and never felt more at ease until we came across him. He made sure we had no surprises, and was always available when we had any questions, no matter how many times we asked. Nathan had a wealth of information that no one else could give us through the entire process. If others weren’t doing their part in getting our loan taken care of, he stayed on them to keep the flow as timely as possible. All I can say is thank you Nathan. A million times over. You will be relieved to choose him in this exciting yet typically nerve racking process, that he makes seem like a walk in the park. This is the second time I have used Nathan as my Lender. He is professional, knowledgeable and very easy to work with. He explained the process along the way and the time frame each step would take. He followed up quickly to any and all of my questions. I would highly recommend Nathan! Mia D.I am a Real Estate Agent and I have been using Superior Mortgage Lending since 2010. All the Loan Officers there are very professional and always available to meet my clients and attend to my open houses. They have attended to several of my open houses and they can pre-qualify my clients on the spot. I highly recommend Superior Mortgage Lending LLC. KP Superior Mortgage Lending is a full service mortgage broker with a goal to provide excellent service to you throughout the process. If you need help with purchase or refinance contact Superior today and one of Superior’s experienced Loan Officers will help you with your mortgage needs. Testimonials are reviews and comments when a product or a service is provided and happy clients find a way to share their experience. This can help your company improve credibility and show other potential clients/customers that you are trustworthy, experienced and an expert in your industry. Today’s unique website visitors are looking to see what others that have done business with you have to say about your company and your company’s reputation. A good client testimonial is filled with benefits, if you say your company can do something then your testimonials should back up your promises. You always have to think about your own experiences – are you more likely to hire a real estate agent or a mortgage broker when you read their brochure or visit their website or when a friend recommends them to you? Superior Mortgage Lending is proud to share our Client Testimonials and Reviews and hope that their positive feedback can impact your decision on doing business with us. Thank you for visiting our Testimonials page. We look forward to working with you!